This post was sponsored by Ghirardelli Intense Dark Chocolate. Chocolate and wine each have long and diverse histories that didn’t really intersect on our collective palate until recently. Many of us look to chocolate and wine as forms of indulgence and escape, yet some believe they should never be enjoyed together. It’s not difficult to understand where those naysayers might be coming from. Think back to just a few years ago – would you have tried a dark chocolate bar sprinkled with sea salt? The idea may have seemed a bit strange. But now, with culinary curiosity on the rise, sweet and savory chocolate combinations abound. Both chocolate and wine have ancient roots; pairing the two is a growing and decidedly delicious trend. One key similarity between creating chocolate and wine is fermentation. Chocolate goes through a long journey before arriving on our grocery store shelves in neatly wrapped packages. It all begins with a tropical evergreen tree that grows in an area near the equator, lying between the northern Amazon basin and southern Mexico. At maturity and in season, the tree can produce thousands of blossoms. 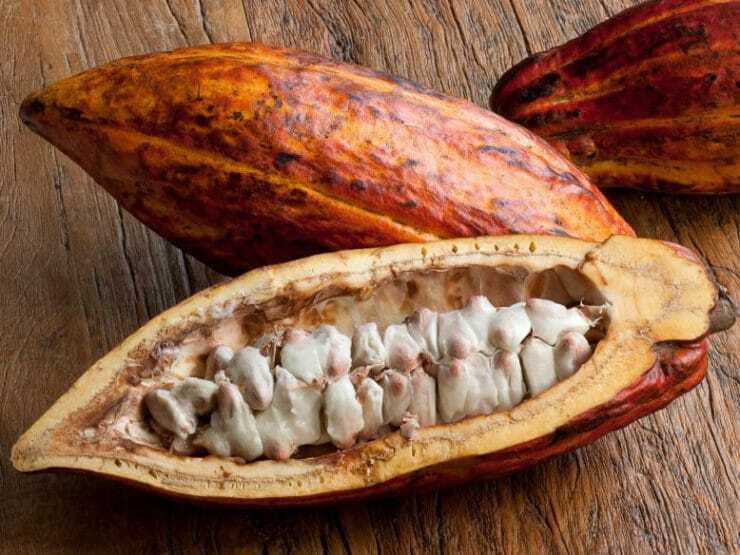 Fewer than fifty of those blossoms will produce cacao fruit—a large, football-shaped pod that houses bitter cacao beans and their surrounding pulp. A little known and interesting fact—the fatty, sugary pulp of the cacao fruit was once enjoyed as an alcoholic beverage. When Spanish explorers arrived in Guatemala, they discovered canoes filled with cacao fruit that had been left in the sun to ferment. Over time a sweet, sour alcoholic beverage developed. Today, the cacao beans and pulp are scraped from the ripe pods and left to ferment in the sun for up to 9 days in order to develop a richer, bolder flavor. Once fermentation is complete, the beans are dried and sent to manufacturers, where the beans are turned into chocolate. Since both chocolate and wine begin with fermentation, it seems fitting that their flavors might enhance one another. 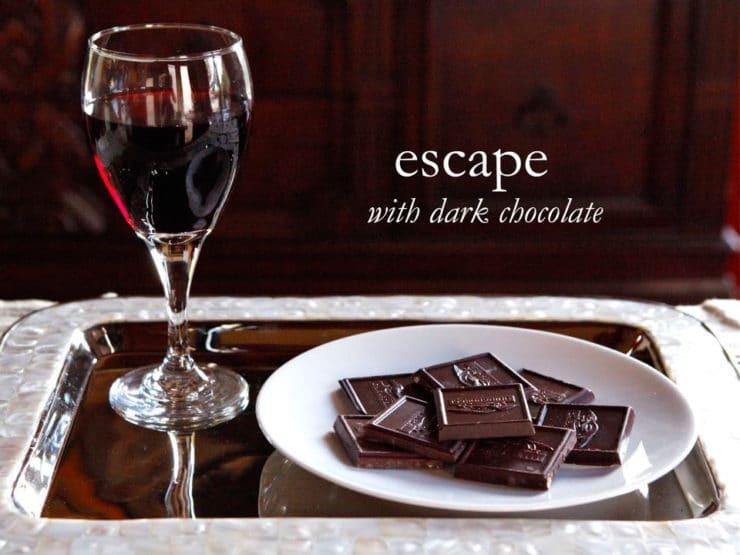 Let’s talk pairing… that luxurious, indulgent escape where wine and chocolate meet in perfect harmony. One important rule to remember when choosing your pairing is to aim for a sweeter wine. 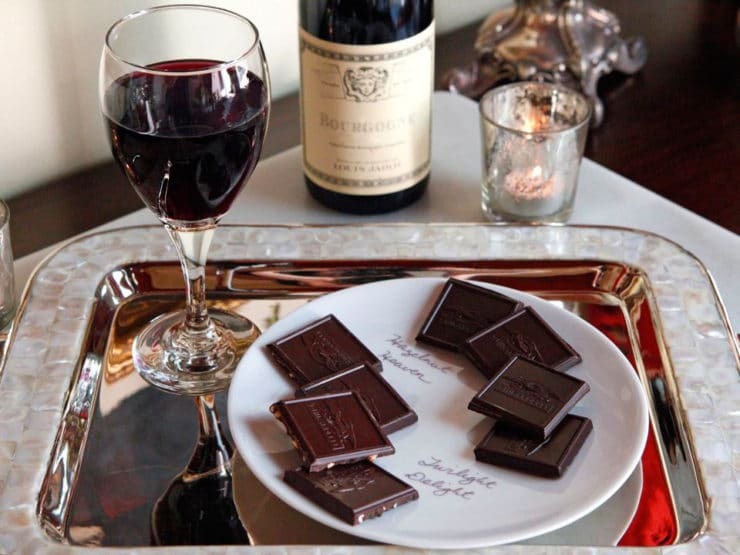 As you might imagine, a dry red or white wine will not mix well with most chocolates, excluding very dark chocolate and some other bittersweet varieties. 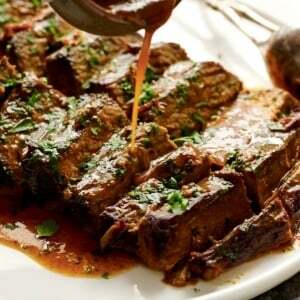 Less sweet wines tend to be overpowered by the chocolate, resulting in a sharp, acidic flavor. If you prefer drinking only dry wines, stick to a very dark chocolate, or try serving it with ice cream or another creamy dish to offset the acidity. If you feel like doing some of your own experimenting, you may want to start off with sherry or port. Sherry is especially tasty with nut-filled chocolate. For very dark chocolate, port wines and Syrah both make excellent choices. 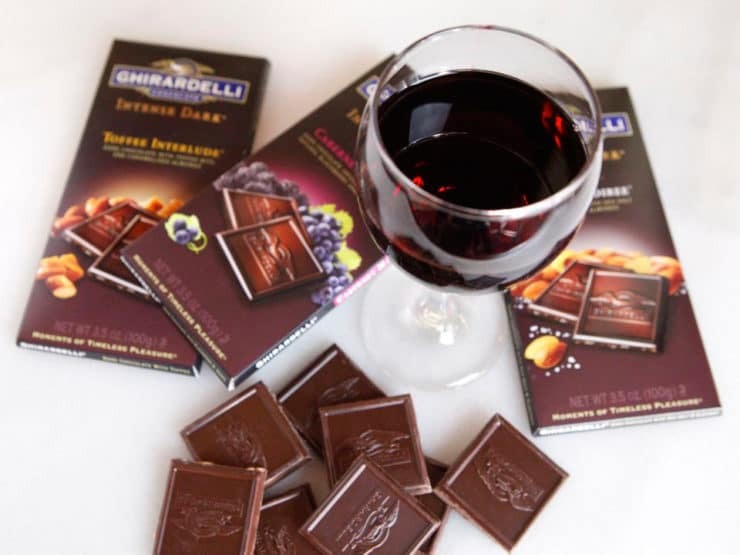 For a milder dark chocolate, give Zinfandel or Cabernet Sauvignon a try. 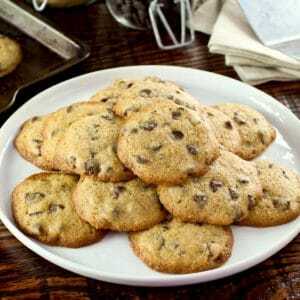 These are especially nice when enjoyed along with dried fruits, like tart cherries or even figs. If mixing sweet and savory is your thing, and you’ve never tried dark chocolate with a hint of sea salt, then you’re missing out. These types of chocolates are best with Syrah and a sweetly bitter snack like candied orange peel. For the chocolate and toffee lovers out there (like me! ), Riesling makes a perfect match. 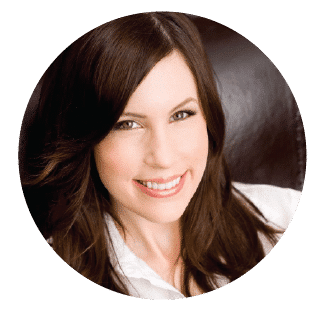 Interested in hosting your own wine and chocolate party? 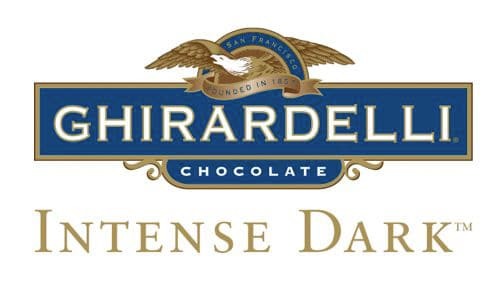 Check out Ghirardelli’s new line of Intense Dark chocolates. These gourmet-quality tasting chocolates are kosher certified and totally decadent. Ghirardelli has provided a helpful list of wine pairings to try, one for each flavor, which will undoubtedly enhance your tasting experience. 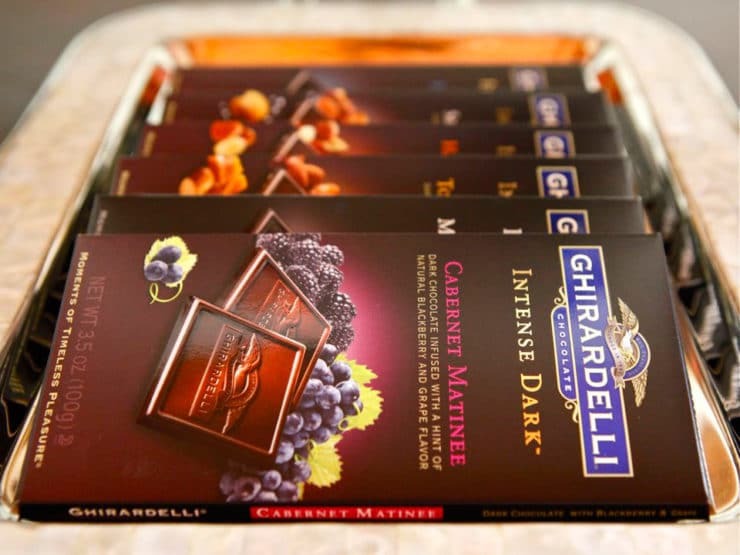 “Ghirardelli Intense Dark Pairings.” Ghirardelli – Premium Chocolate. Ghirardelli Chocolate Company, n.d. Web. 29 Mar. 2013. Hedh, Jan and Klas Andersson (2002). Chocolate. Barnes and Noble, Inc., US. Good knowledge, no matter what the subject. I must admit, I’m happy it’s a chocolate font today. Great post. Ghirardelli Intense Dark being opened as we speak! You will love them Ale! You are a font of knowledge, no matter what the subject. I must admit, I’m happy it’s a chocolate font today.